Any cat that has not eaten anything in over 24 hours should be seen by a vet. Not eating is a life-threatening situation for a cat. There are many reasons why a cat might refuse food – dental pain, pancreatitis, urinary obstruction, intestinal blockage, upper respiratory infection, and many more. 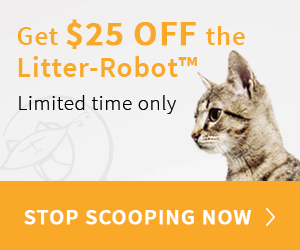 Try these methods to stimulate your cat’s appetite. If your cat starts eating, he or she probably had a non-threatening upset stomach or was just feeling unwell. Any time your cat refuses to eat for more than a day, he needs to go to the vet. First, to determine what’s causing your cat to stop eating, but also because cats (especially overweight cats) can develop hepatic lipidosis, or fatty liver disease, by not eating. Untreated, hepatic lipidosis can result in liver failure and death, so it must be aggressively treated by your veterinarian. Cats are known for sleeping the day away, but it is possible for a cat to sleep too much! Cats sleep an average of 12-16 hours each day, and more if they’re elderly. If you notice your cat sleeping more than usual, being disinterested in food or toys, and not reacting like normal to certain things – he is lethargic. Lethargy can signal many possible serious health issues, like arthritis, asthma, bladder infection, cancer, dehydration, depression, diabetes, heart disease, kidney disease, and poisoning. 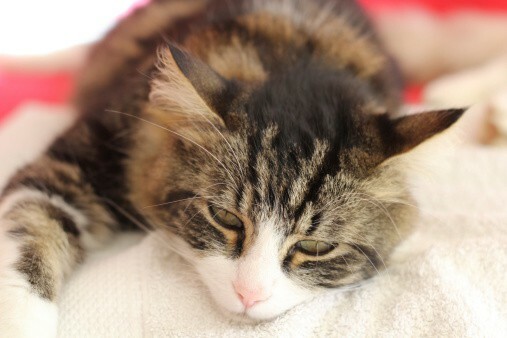 If your cat is being extremely listless, a visit to the vet is in order to determine the cause. This is the most urgent emergency any individual cat, dog, or human can face! Death occurs after three minutes without breathing, so a cat that’s having trouble breathing needs to be rushed to the Emergency Room quickly. Watch out for open-mouth breathing, heaving sides, wheezing, panting, inability to lie down, and coughing. There are many reasons a cat may begin to have trouble breathing, from infections and allergies to asthma and even heart failure. It’s vitally important to get your kitty to the vet to determine the cause and help your cat get much-needed relief. 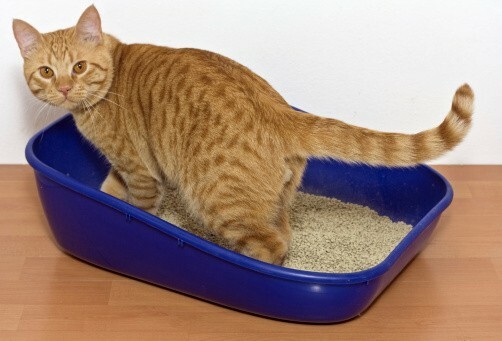 If you notice your kitty making frequent visits to the litter box, while producing little or no urine, go to the ER. This is a real emergency, that could indicate a urinary obstruction. Obstructions happen mostly in male cats but can affect females, too. 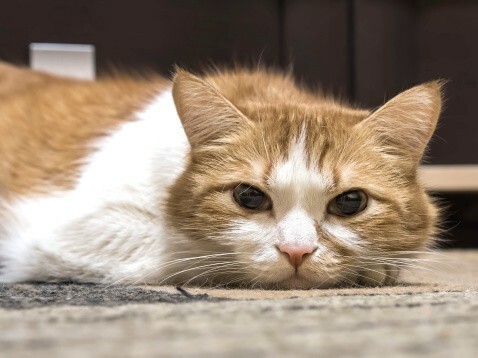 Your cat may cry, be restless, groom excessively, or hide because of the discomfort – and a complete obstruction can cause death within a couple of days. Cats with the condition suffer agonizing pain, and then it could progress to acute kidney failure, the bladder may rupture, and even cardiac arrest. Any kind of bleeding may be an emergency or it may be temporary, like bleeding from a wound, that you’re able to treat at home. Excessive bleeding that doesn’t stop is an emergency. Vomiting, diarrhea, or urine accompanied by blood should also be considered an emergency. A temporary loss of consciousness – often described as fainting – is called syncope. It can be caused by heart disease, emotional stress, excitement, low glucose, or other diseases. 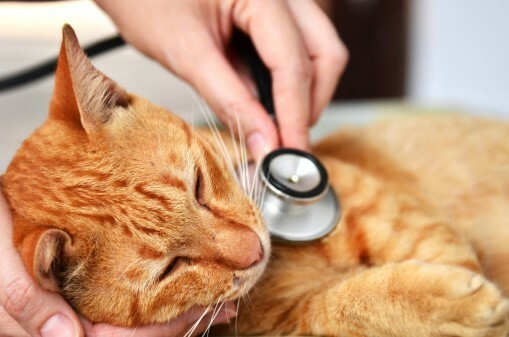 It’s important that your cat is seen by a vet to determine the cause of this fainting – as many of the conditions that cause it may be life-threatening. 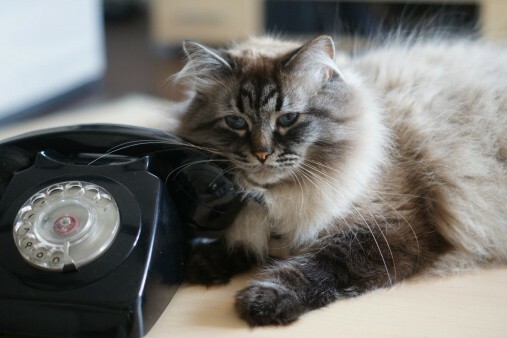 If you ever have a concern that your cat’s situation might warrant a trip to the emergency vet, give them a call! The clinic may be able to assess what’s going on and advise you to bring your cat in for a visit or wait it out. Remember, you know your cat best! 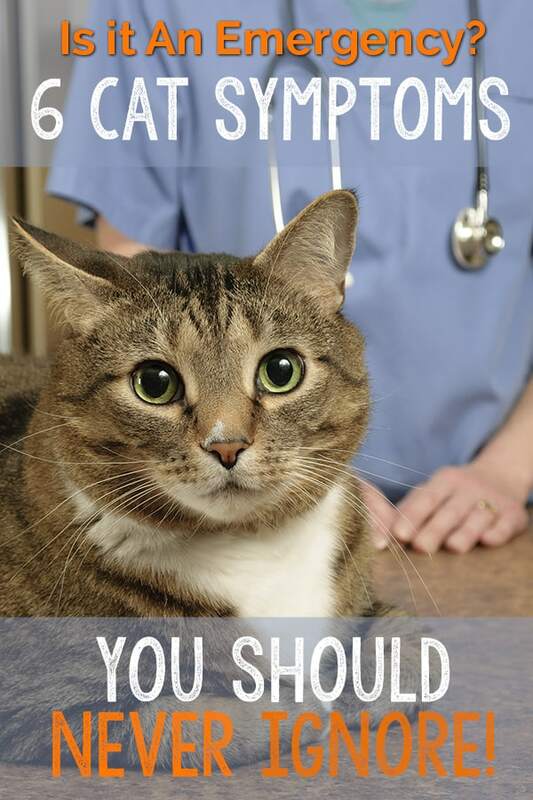 So, any time you believe your feline friend is unwell, never be afraid to talk to your vet. Cats are notorious for hiding illnesses. By paying close attention to your kitty’s symptoms and any changes in behavior, you can be the best advocate for your cat’s health. Has your cat ever experienced any of these symptoms? How was it treated? Tell us below, so other pet parents can learn from your experience! Did you find this helpful? Pin it! I lost my my baby,my best friend when she was only 3 1/2 years old. She was constipated and that had happened the prior year and recovered quite well; so in taking her to the vet again, I believed that she would be ok. The vet looked at her ears, and they were yellow. Fatty liver disease. She tried to eat but could not. After a week of me giving her the medicine and force feeding her, I had to let her go. Truly, the worst day of my life. I held her and kissed her…. did not want to let her go. My beautiful girl baby,my Angie, I love you and I miss you every single day.